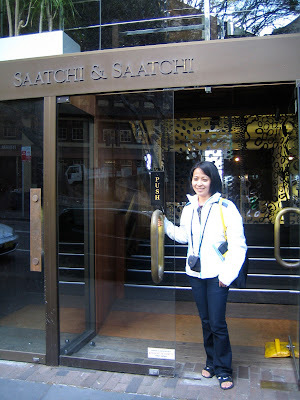 Came October 2008, exactly a year later after I said to myself that I'll be part of this company–My new office Ace Saatchi & Saatchi Manila. Breaking new grounds for me and giving possibilities to all my dreams. 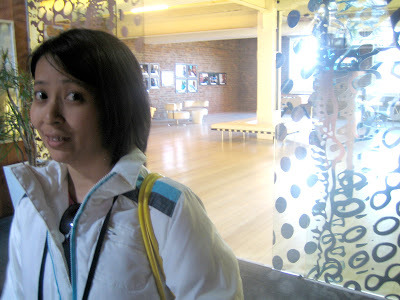 Starting today it's time to prove the world more that I am not just an Art Director–because I do believe Art Directors are not just executers but idea makers, can do a good script and probably a good presentor. 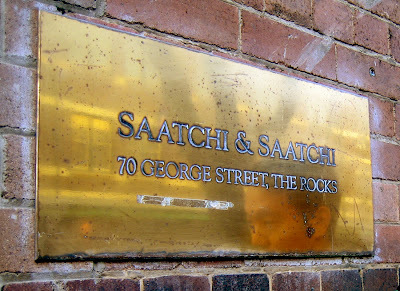 Sneaking inside Saatchi & Saatchi Sydney. So who says dreams cannot come true? I say, dreams do happen. They existed for us to make it real. I always been a dreamer not a wanderer. I often get lost but I do find the way how to get to the right direction. So I believe none of us are losers. We do have our own trail to follow. We just have to keep in mind that whatever we do and regardless of what angle in life, we should learn not to step on anyone or hurt someone. Because I believe if you do something and on the other hand you hurt people, you will never be happy and will never succeed in life.